The recent news that two children were killed by a Rock Python while sleeping over at a friend’s house is horribly tragic. It feels like a one in a billion tragedy, preventable but unlikely to ever be repeated. How many pythons are roaming loose in Canada? 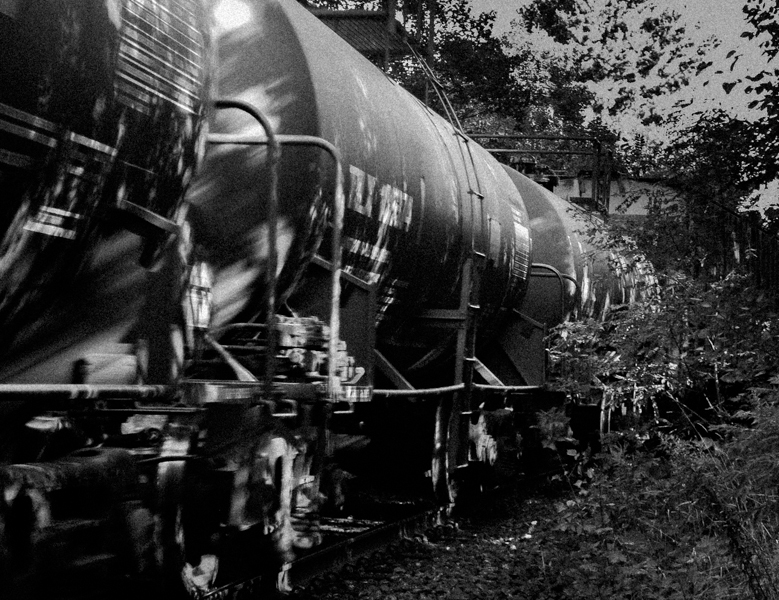 In Lac-Mégantic people were killed while they were asleep. They weren’t out partying with some chance of recognizing there was an emergency and perhaps managing to escape. No, they were tucked into their beds with no sense that there would be no tomorrow. Lac-Mégantic is an accident that is preventable but likely to be repeated in one manner or another; train derailments happen too regularly. With an ever increasing number of trains rolling through the centre of Canadian towns and cities carrying toxic and flammable materials there is no question whether we will see a similar tragedy. The question is when. The hope is it will be ‘minor’. Humans and equipment are too inherently ‘fragile’ to make an accident avoidable. While industry and government wrap their heads around how to minimize the risks associated with transporting millions of tons of dangerous materials by rail we need to protect ourselves. The Town can show leadership by providing its residents with a ‘disaster cheat sheet’. This would be no more than a one-page summary of how to recognize there is a disaster, and what to do if there is one. There are enough emergency vehicles running though Parry Sound at all hours of the day to lull us into a sense that despite the sirens, heavy vehicle sounds, and helicopters, there is nothing we need to do. How do I know with confidence that it’s safe to roll over and go back to sleep rather than get up and take action? In an emergency situation every second counts! And I need to know what to do. Bowes Street would be a parking lot if everyone thought they needed to leave right away and there was no plan. Office and apartment buildings are required to have alarms and emergency evacuation plans. Parry Sound would benefit from having a plan that trickles down to residents in terms of how to recognize a major emergency and what to do next. I’m confident the Town has an emergency disaster plan. I just don’t know what I am supposed to do. Let’s get ahead of this before there are only regrets. Dying in bed is perhaps one of the best ways to go, but not like Lac-Mégantic. It was interesting that the railroad company involved in the Lac-Mégantic incident will no longer be allowed to operate in Canada; they were insolvent anyway, but that puts a nail in it.